Terrence Mawawa|Outspoken MDC Alliance principal Tendai Biti has blamed the Emmerson Mnangagwa military run government of failing to protect the citizens. Although yesterday’ s incident was apolitical, Biti maintained an individual with direct links to the “junta government” shot and killed a hapless civilian. 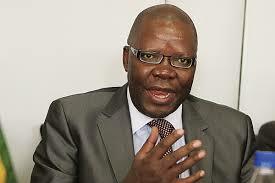 perpetual fear of State hooliganism,” tweeted Biti.